If you’re thinking about selling your home, 2019 is the year to do it, but after that, it will only get harder. It’s no secret that the real estate market has been pretty good to home sellers these last few years. Even if you had no desire to move, the housing landscape itself might’ve at least tempted you to sell anyway. After all, it’s hard not to see dollar signs when your neighbor is selling their home for tens of thousands over their asking price. As they say, though—all good things must come to an end, and you’ve probably heard by now that our white-hot seller’s market is coming to an end. Have you missed the boat if you haven’t listed yet? Absolutely not, but the longer you wait to sell, the harder it’s going to be, and there are three reasons why. First, your home won’t be the only one on the market for long. It’s basic supply and demand: Sellers have been in the catbird seat for the last several years, but there simply weren’t enough homes on the market to keep up with the buyer demand. For now, buyers still outnumber available inventory, but more and more homes are being listed. You might face more competition from other sellers and you might not get an offer over your asking price by listing in 2019, but you’ll still sell for a lot of money. Second, mortgage rates are still low. Experts predicted that interest rates would rise at the end of 2018, and while they were trending upward heading into this year, the average rate for a 30-year fixed mortgage has actually decreased in 2019 and is back below 4%. This means you’ll have more buyers knocking at your door if you list now. These low rates present a great opportunity for trade-up buyers as well. Lastly, you still stand to make a handsome profit. The average home prices in most markets in our area have seen a meteoric rise the past several years, and while the news that things are slowing down might seem like a good reason to wait, moderate prices and low interest rates have combined to increase buyer demand right now. You might face more competition from other sellers and you might not get an offer over your asking price by listing in 2019, but you’ll still sell for a lot of money. If you or anyone you know is thinking about selling their home, don’t hesitate to call or email me. I’d be happy to help you. My guest is here today to give you an in-depth look at what the escrow process entails. During a real estate transaction, you’ll have to go through escrow. But what exactly does escrow mean? I’m here today with Angela Weaver of West Coast Escrow, and she’ll be telling you everything you need to know about this part of the real estate sale. Escrow is a neutral third party that works on behalf of both buyers and sellers in a transaction. They also work directly with agents and lenders. Angela is basically the glue that holds everything together—everyone can go to her with questions, concerns, and more. She handles title work and coordinates the entire transaction. Escrow typically opens after you negotiate a purchase contract with your buyer. Your escrow company will reach out to you so you can set up an appointment and sign your papers. Angela likes to meet with her buyers and sellers in a face-to-face setting so they become comfortable with who she is and what she does. Escrow is a neutral third party that works on behalf of both buyers and sellers in a transaction. Sellers should bring in their current mortgage information statements, driver’s license, and information in regard to any bank account they want their proceeds wired to. When it comes to payment, they’ll offer wiring and check options. During the meeting, you’ll review documents and items will be notarized. You can also ask any questions you have about the transaction. Escrow will have you sign the grant deed ahead of time—before the transaction is actually completed. Some people get nervous and mistakenly believe they’ve signed over their home before the process has finished, but it’s not the case. Escrow will hold any and all recordable documents from buyers and sellers in a locked file. When the transaction is complete, they can then send the documents down to the county to be recorded. They are bonded, licensed, and insured in order to keep your file secure. I’d like to thank Angela for giving us such a great insight into the escrow process. Feel free to give her a call at 714-777-4600 or email Angela.Weaver@WestCoastEscrow.com. If you have any other questions or would like more information, feel free to reach out to me. I look forward to hearing from you soon. Susan Foy shared some more insight about wills and trusts. Here’s what you need to know about them. I’m here again today with Susan Foy, an estate planning attorney, and she'll be answering more important questions about wills and trusts. If you missed the first message we shared on this topic, you can watch it here. How long does it take to get a trust in place? Susan is able to turn around drafts within two weeks. Then it depends on how quickly the client would like to move forward. She does encounter emergency situations where people need trusts or wills right away, and she does her best to meet these requests. She’s helped clients who were dying and hadn’t yet created trusts, and she’s even helped me when my wife and I were about to take an international trip and leave and the country and we wanted to get things in order. Certain situations can definitely be accommodated. When you have assets and other responsibilities, it’s important that you have a plan in case the worst happens. When you have assets and other responsibilities, it’s important that you have a plan in case the worst happens. It’s great to have someone like Susan who can give you the peace of mind that all of your wishes will be taken care of. How much does a trust typically cost? It really depends on your circumstances and the complexity of the estate, but they normally cost around $2,000. Susan does amendments on an hourly basis, but there are always different ways to handle it. When it comes to these processes, you often get what you pay for. Going through a cheaper alternative could mean important items or legal matters are missed in your wills or trusts. I’d like to thank Susan for giving us some great information about trusts and wills today. You can visit her website at www.SusanFarrisFoy.com. If you have any other questions or would like more information, feel free to reach out to me. I look forward to hearing from you soon. Expert lender Lauren Williams recently joined me for a discussion about two awesome financing options she offers clients, and I’m going to share our full conversation with you today. I recently had the opportunity to sit down with local lender Lauren Williams of LW Home Financing to discuss a few of the new loan products available for those looking to buy or refinance a home in 2019. The first program Lauren shared during our discussion was one designed to help business owners and self-proprietors secure financing for a home purchase. Lauren is always happy to speak with clients about finding financial solutions to their real estate goals. This unique program only requires applicants to submit 12 months’ worth of bank statements—not their tax returns. You also don’t need a high FICO score to qualify. In some cases, you can qualify with a score at (or even slightly below) just 600. But what if you aren’t looking for a new property, at all? What if you’re already living in your dream home, but would like to refinance in order to make a few additions? Well, jumbo loans and high-balance loans currently have much better rates than was true in the past, so it’s a great time to consolidate your expenses. If you were lucky enough to already have locked in a low rate on your first mortgage, however, it’s best to keep this as is and take out a home equity line to fund your upgrades, instead. With these lines of credit, you only pay when you’re using it. We hope this information has been helpful. If it has and you’d like to speak to Lauren to learn more, simply give her a call at (714) 625-0310 or email her at lauren@lwhomefinancing.com. And, as always, if you have any other questions for me, don’t hesitate to reach out. I look forward to hearing from you soon. If you’re a homeowner, you can benefit yourself and your loved ones greatly by setting up a trust. Today I’m joined by estate planning attorney Susan Foy to talk about one of the most important items you can have as a homeowner in California: a trust. Why is having a trust so important? For one thing, it helps you avoid probate, which is a court-supervised procedure your family would otherwise have to go through to address the transfer of your assets after you die. A trust helps you decide specifically who you want your assets and estate to transfer to. If your family situation is especially complicated or you’re married and you or your spouse has children from a prior marriage, they can be particularly helpful. Additionally, a trust ensures that all the information regarding your estate and assets remains private, and you save a considerable amount of money by having one written up front instead of writing your will later on. Also, a trust gives you more financial options than a will does. If your children are minors at the time you pass away, you can provide for them until they turn 18, 21, or whatever age you specify. A trust helps you decide specifically who you want your assets and estate to transfer to. Many of the baby boomer generation are entering their golden years, which can mean transitioning to assisted living or moving in with family and leaving a property behind. If you’re entering the later stages of your life and these scenarios apply to you, don’t be intimidated by the thought of setting up a trust. For attorneys like Susan, it’s their job to make the process as simple as possible. If you’d like to know more about setting up a trust, you can message Susan at her website www.susanfarrisfoy.com. You can also reply to this email and I’d be happy to put you in touch with her. As always, if you have any real estate questions or you’re thinking of buying or selling a home soon, don’t hesitate to reach out to me. I’d love to speak with you. Today I’ll take a closer look at the “dark side” of real estate and share a story regarding some sellers who encountered and overcame it. So what am I referring to when I say the “dark side” of real estate? Well, there are times when a home sits on the market for months on end, and despite the seller’s best efforts of going through the entire process, the home still doesn’t sell. When a home goes unsold after being on the market for three, six, or even 12 months, it can be ascribed to many factors: the price, Realtor, marketing, or a combination thereof. This can be discouraging to a seller who placed their hopes, desires, and wishes in getting the home sold within their time frame. This dark side of real estate is not often talked about. The key for the seller is to rebound from this experience and to then take the proper steps to get results—the sale of the home. I’d like to share a story about some sellers who overcame a situation like this by working with us. The home, located in the beautiful city of Yorba Linda, had already been on the market for a number of months. The sellers went through a process that they believed would lead to a timely sale, but had no such luck. As soon as they pulled the home from the market, I reached out to express my interest and to assess if our strategy was a good fit for them. Though we couldn’t guarantee a price, we let them know that our process would get them results. What we assured the sellers came true: We sold the property in eight days for 99% of the original asking price. As you can imagine, this was a complete turnaround for a couple of sellers who, not that long ago, had any hopes of selling their home dashed, and a result, they became one of our biggest advocates. If you or someone you know wants to sell a property in 2019, whether you're just now considering it or you had little to no success in 2018, please reach out. 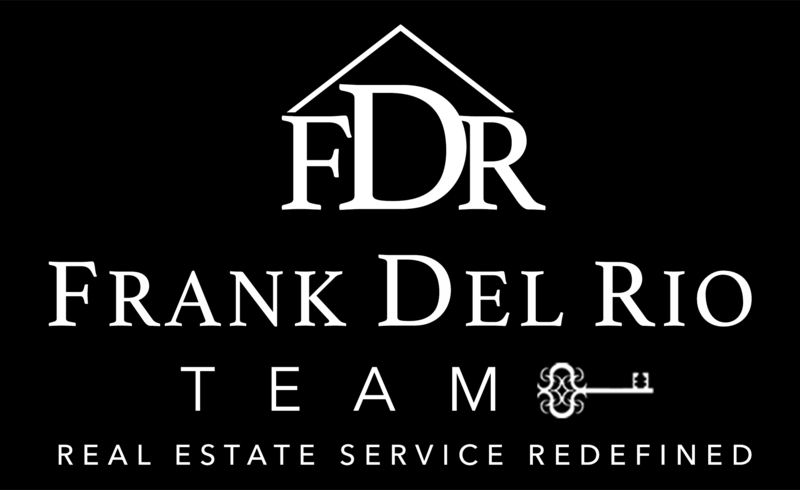 You can email us at fdelrio@live.com or call/text me directly at 714-335-0844. We look forward to hearing from you! This is a different holiday market than the one we saw last year, and buyers and sellers have to adjust their expectations accordingly. This is the time of year where both supply and demand typically drop in our market, but the numbers tell us that’s not happening this time around. Inventory is up 35% compared to this time last year, which means home sellers are facing a lot more competition. On the flip side, demand has decreased by 8% compared to last year. Furthermore, our average days on market has increased from 62 days to 124 days. What does this mean for buyers and sellers? The bottom line is this: It’s all about expectations. What can you expect from our market as a seller? Things are starting to shift in favor of buyers for the first time since the start of 2011. Homes are taking longer to sell, but price is still king, and homes that are in great condition and priced accurately will sell quicker than other homes. Pricing your home based on its location, condition, and upgrades is essential. Homes are no longer flying off the shelves like they once were. If your home needs a bit of work or is in an inferior location, you’ll need to adjust your price accordingly and be patient. Moving forward, the market won’t be as fast paced as it has been over the past several years. What about if you’re a buyer? You may be in the driver’s seat, but prices aren’t dropping, so don’t get ahead of yourself and start writing unrealistic, lowball offers in the hope that a desperate seller will bite. We’re not in a deep buyer’s market—that only occurs when the expected market time surpasses the 150-day mark—but homes are no longer flying off the shelves like they once were, and you don’t have to rush anymore. If you’d like to know more about our current market or you’re thinking of buying or selling a home soon, don’t hesitate to reach out to me. I’d be happy to help you. Moving your family to a new state can be stressful, but it definitely doesn’t have to be. Moving out of state is stressful enough—let alone when you add to that the headache of both selling one’s current home and buying a new one hundreds of miles away. However, with my help, this homeowner nightmare was no more than a peaceful dream for the Herrera family. The Herreras came to us looking to move out of state—something many people are doing these days. Before we even began to talk about putting their home up for sale, we wanted to narrow down some locations they were interested in. After traveling and viewing new areas, they came back excited and ready for the next step. We made a plan: Put their home on the market and have them moved into their new place in Colorado before winter strikes. We were able to sell their property within 10 days (for full asking price! ), and negotiate a great deal on a beautiful house to call home. Moving out of the state is stressful enough. 1. Do your homework! Visit and find out as much information as you can about the location you’re interested in. 2. Consult with a Realtor. We can explain the costs involved in selling a home, how much your house is worth, and answer any questions you have. 3. Devise your plan. When do you want to put your house on the market? When do you want to move? You’ll want to make sure your home is sold first before you begin negotiations on a new one. The best option for navigating this process is to give me a call! I can help you with all of your real estate needs, whether you are looking to buy or sell a home, have questions, or would simply like some more information. I’m here to make your life as a homeowner easier, and I look forward to hearing from you soon. When it comes time to sell a home, you have to make sure that you have the best chance at success. How does one do that? By hiring the best professional representation possible. 2. “What is your list-to-sale price ratio?” If your home is on the market for $700,000, what percent of that original price will this Realtor sell it for? This helps you know how strong your Realtor is. Those with percentages below 90 will not be as strong, and may not get you top dollar (no matter how much they claim they will). Those in the high 90s to 100% are the rockstars that will serve you well. True professionals are going to show you their specific plan that goes far beyond what you’re used to seeing. 3. “What is your specific marketing plan to sell my home?” Does the Realtor even have one? 95% of all Realtors fall back on the automatic tools issued from their real estate board or their office. These are the ones you already know about—MLS, For Sale signs, open houses, Zillow, etc. True professionals are going to show you their specific plan that goes far beyond what you are used to seeing. 4. “What is your average days on market?” Ask them to compare their personal average with that of the market. This helps you identify how long it should take them to sell your home; that way, you can plan and prepare your move accordingly. 5. “Can I contact your past clients or view any testimonials?” Realtors can tell you how great they are until they are blue in the face, but to hear the actual experience from a past client will give you genuine feedback. Personal testimonials will give you a good idea of what you can expect from this Realtor. If you going to be interviewing Realtors to help you manage one of the largest investments you have ever made, make sure that they can answer these five questions. To hear my answers to these questions or any other questions you have, please feel free to reach out to me. I would be happy to share the information with you. There are five major benefits of having good credit and five surefire ways to improve your credit score. Our preferred lender Lauren Williams is here today to help talk about five major benefits of having good credit and five great tips to improve your credit score. 1. It will lower the interest rates on the loans and the credit cards you get. If you’re applying for a mortgage, good credit will help with a wider range of mortgage offers. You can save 1% or 2% on the interest rates, which can save you tens of thousands of dollars over the life of the loan. 2. It will leverage your credit card rates and increase your buying power. The better your credit, the more bargaining power you have with your credit card company. They don’t want to lose your business, so they’ll lower your financing rate if you have good credit. 3. It will qualify you for lines of credit. If you’re looking to do a line of credit, having good credit will help you qualify with your bank. 4. It will help with rental approval. If you’re renting a home or an apartment, a good credit score will increase your chance of securing your ideal location. 5. It will lower your auto insurance rate. Bonus benefit: It will open up better employment opportunities. Many employers nowadays check the credit of their applicants, so having good credit can make you look more responsible than those with a lower credit score. A high credit score will save you money in the long run. 1. Always pay your bills on time. This simple act done each month will build your credit and create great financial habits that will pay off in the long run. 2. Keep your balances low. Credit issuers often report your balance to credit agencies on a certain date, typically the last date of your billing cycle, so consider paying all or part of your bill before the closing date so the issuer will report a lower or zero balance. If you need, ask if you can make multiple payments per month. 3. Maintain a credit utilization rate of less than 30%. If your credit limit is $1,000, keep that balance under $300. If you want to get really aggressive, try and keep it around 10%. 4. Tackle your debt. Start with the highest interest rate card or loan, and once that debt is gone, pay down the next account with the lower rate. 5. Avoid using credit cards for large purchases. The compound interest can add up quickly, and it starts going against you if you’re trying to pay off that balance in a timely manner. If you already have good credit, these tips will ensure that it remains high. Remember—financial institutions and employers put their trust in your credit score. It demonstrates to them that you’re both financially responsible and likely responsible in other areas of your life. In the long run, having a good credit score will save you money. If you’d like to know more about how to increase your credit score, give Lauren a call at (714) 625-0130. If you have any other real estate questions for me or you’re thinking of buying or selling a home, don’t hesitate to call or email me anytime. I’d be happy to help you.